Lyn is a neo-gladiator’s daughter, through and through. Her mother has made a career out of marrying into the high-profile world of televised blood sport, and the rules of the Gladiator Sports Association are second nature to their family. Always lend ineffable confidence to the gladiator. Remind him constantly of his victories. And most importantly: Never leave the stadium when your father is dying. I can’t even remember when I bought my paperback copy of Girl in the Arena. I do know that I picked it up because it came highly recommended by my good friend Angie. It’s been sitting in my TBR pile for YEARS and I’ve carried it from Manila to Singapore when I moved but haven’t had a chance to read it until recently. 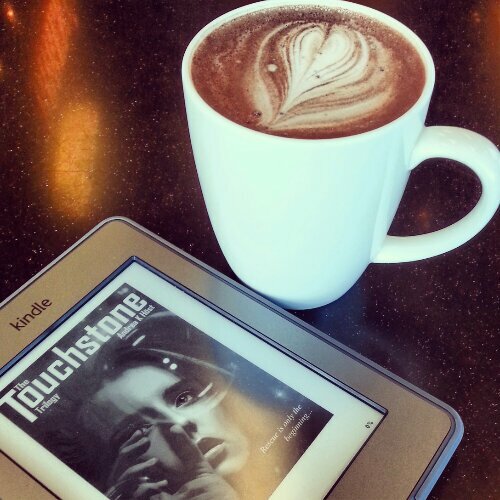 I’m trying to make more of an effort to read the physical copies in my TBR pile instead of always just reading ebooks. So, I don’t usually like dystopian novels but Girl in the Arena was a really good one. I read it in a span of one day because it kept me absorbed. I found the neo-Gladiator culture and history interesting – like how it all started and why it has such a strong following. I liked Lyn right from the start and I thought her interactions with all of the other characters – her mom, her brother, her best friend Mark and her enemy / potential husband – were great. I really wish Lyn and Uber had more interaction though. I loved the few scenes that they had together but didn’t feel like there was enough of them. There’s a lot that happened in this novel and I kind of felt like the story was spread a little too thin. Maybe if it was a little longer, we could have gotten more depth from the story and also more character development. Like I wanted more information on Lyn’s previous dads and what were her mom’s reasons for marrying them specifically. It wasn’t even mentioned which of the gladiator dads was her brother’s father. So I did enjoy the book overall but just wanted more from it. Surprisingly, Girl in the Arena lingered in my mind days after I finished reading it so the story must have made more of an impression that I initially thought. 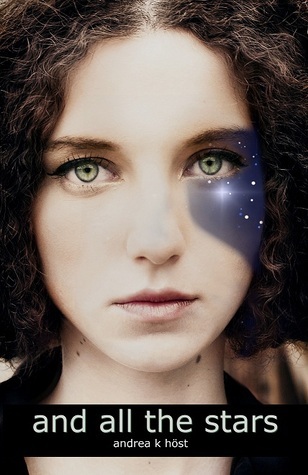 Recommended for fans of dystopian YA or those who like fiction featuring reality TV. I’ve been meaning to try Linnea Sinclair’s books for a while now and I’m glad I was finally able to do so when I picked up Games of Command. There was a time when I felt that sci-fi isn’t really my thing because the worldbuilding tends to be more complicated that what I usually like. But then I loved Silent Blade and Silver Shark by Ilona Andrews and the Touchstone trilogy by Andrea K. Host so I’ve been wanting to explore the genre a bit more. Linnea Sinclair has been recommended by blogging buddies Angie and Janice and I’ve had her books on my TBR pile for ages. 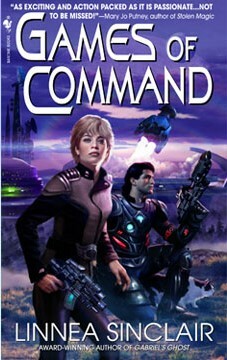 I was recently in the mood for sci-fi so I ignored the other three books I was in the middle of, bought the Kindle edition of Games of Command and promptly got sucked in by Linnea Sinclair’s writing. The universe isn’t what it used to be. With the new Alliance between the Triad and the United Coalition, Captain Tasha “Sass” Sebastian finds herself serving under her former nemesis, biocybe Admiral Branden Kel-Paten – and doing her best to hide a deadly past. But when an injured mercenary winds up in their ship’s sick bay–and in the hands of her best friend, Dr. Eden Fynn–Sass’s efforts may be wasted. Wanted rebel Jace Serafino has information that could expose all of Sass’s secrets, tear the fragile Alliance apart – and end Sass’s career if Kel-Paten discovers them. But the biocybe has something to hide as well, something once thought impossible for his kind to possess: feelings… for Sass. Soon it’s clear that their prisoner could bring down everything they once believed was worth dying for – and everything they now have to live for. I had a lot of fun reading Games of Command and I thought it was a good introduction to Linnea Sinclair’s work. I was so absorbed that I stayed up late to finish it. I have to admit that some of the terms and situations went over my head but I was fine with that, I felt like it didn’t affect my enjoyment of the novel. I think that will always be the case for me whenever I read certain space opera novels. I would rather go with the flow of the book instead of spend too much time trying to figure out the science and the mechanics of that particular book. “When she saw the scars, she understood. They weren’t like Zanorian’s thin affectations. These were knotty, full of pain and bad memories. Unpleasant. Best kept hidden. Games of Command is filled with action and adventure. I enjoyed the fast pace of the novel and have no complaints regarding the plot and character development. I just wish that it had an extended ending, I felt like the last scene of the book ended a bit abruptly and I wouldn’t have minded seeing more. I liked that Games of Command is a standalone novel and I feel like it’s a good introduction to Linnea Sinclair’s writing. I’m definitely looking forward to reading more from her. 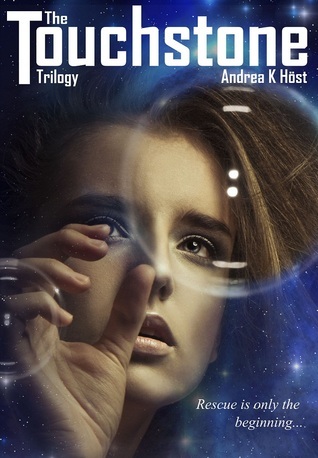 Recommended for fans of romantic sci-fi or space opera. I have been hearing good things about Andrea K. Höst’s books for a while now. I’ve been curious about And All the Stars, particularly, because it’s a standalone. My friend Estara was generous enough to send me a Kindle edition as a gift a few months ago and I downloaded it right away. Now I’m not a big fan of science fiction – I rarely venture into that genre and would only do so if a book comes highly recommended by someone I know. 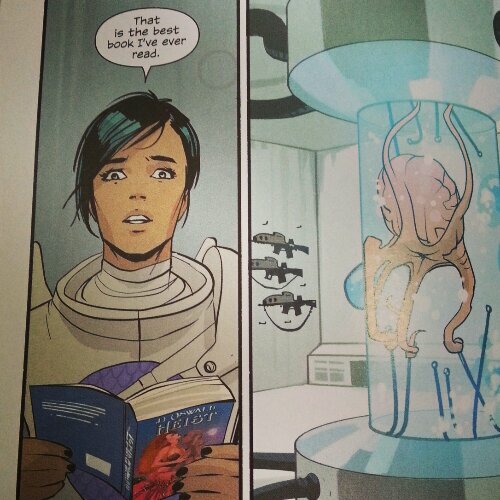 I don’t know why but I tend to get confused by the details in sci-fi (while I don’t have that kind of problem with fantasy novels). I was in the mood for something different so I decided to give And All the Stars a try last week. Other major cities were mentioned as well, emphasizing that what’s happening in Sydney is also taking place on a global scale. Aside from that, there’s also a pretty diverse set of characters within the story. I could relate to that because of where I live now (Singapore), which can be considered a cultural melting pot. Madeleine is a likable heroine, so devoted to her art that everything else fades away while she’s drawing or painting. While I’ve never had that kind of artistic talent, I enjoyed reading about it. Another aspect of the story that I enjoyed was how at its core, And All the Stars is about friendship and people getting together to help each other in the midst of a crisis. Of course, I’m also a big fan of stories that surprise me and this one did. There was a scene that made me stop and say, “Wait, what?” and then I just wanted to finish reading this as soon as I could. Plus there was a slow burn romance that I could totally root for, one that is much more complicated that I initially expected, making it all the more swoon-worthy. I also liked that this is a short standalone (the paperback edition says it has 204 pages) and is a perfect sample of the author’s writing. Can’t wait to try the rest of her novels. 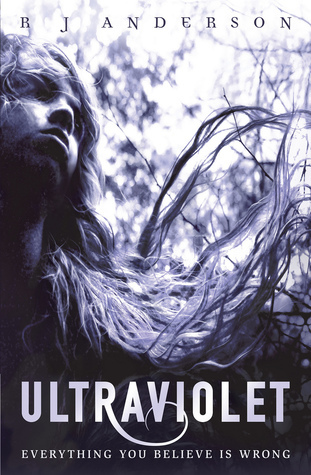 Highly recommended for fans of unusual YA. Like I said, I’m not a big sci-fi reader so you don’t have to be one to appreciate And All the Stars. If you’ve been reading my blog for a while, then you’re aware that I’m not much of a sci-fi reader. I only pick up sci-fi titles when they come highly recommended (like Ender’s Game by Orson Scott Card, Young Miles by Lois McMaster Bujold and Grimspace by Ann Aguirre) or when it’s written by a favorite author – like A Confusion of Princes. So it’s probably not surprising that I had a hard time getting into the first half of A Confusion of Princes. I really don’t know if it’s because I’m not as familiar with the genre or there was too much information at the start of the book. In any case, I was starting to feel bad that I wasn’t as into reading this book as I expected when the pacing suddenly picked up (or I’d become familiar with the terms by then so I didn’t find it confusing anymore). At the start of the novel, Khem was arrogant and clueless but that’s mostly caused by how he was brought up as a Prince of a powerful Empire. There are millions of Princes in the Empire and they’re brought up to be the leaders in their society. I found that kind of set-up intriguing. What’s also interesting is that Princes are constantly fighting one another, knowing that the next Emperor will be chosen from their ranks. Even though he was kind of annoying at first, I liked Khem’s character. He’s an intelligent person and learns to adapt and change his ways when he begins to understand that the world doesn’t revolve around him. 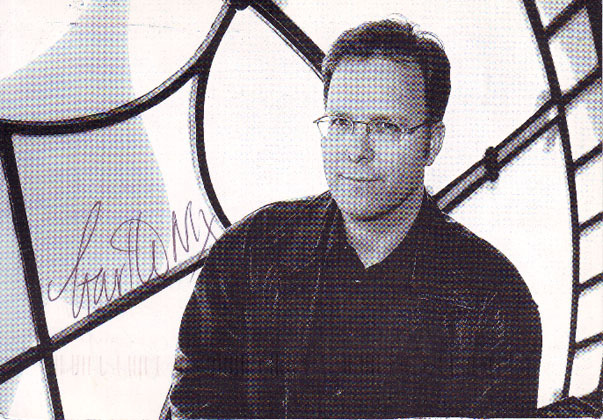 I also liked his sense of humor and it was fun to see things from his point of view. If the first few chapters were slow, the latter ones were really fast-paced – so much so that I felt like some parts of the novel weren’t developed as fully as I’d like. Sure, it made me happy that there’s romance in the novel but I wasn’t really invested in it because everything felt rushed. Khem meets the girl and then BAM, he starts caring for her immediately while he’s still in the process of learning what’s it like to be a normal human being who has feelings. He also goes through a huge transformation in the second half of the book and I had a hard time believing that something like that could happen so fast. Like I said, I liked Khem’s character but I did have problems with the pacing of A Confusion of Princes. Maybe there could have been a balance between how slow the first part is and how fast the last part is? Again, I’m not even sure if I had problems with this because it’s sci-fi instead of my usual fantasy or contemporary reads. As always, I still think you should give this a try if you feel like it’s something that you’d like. Recommended for sci-fi readers and Garth Nix fans. 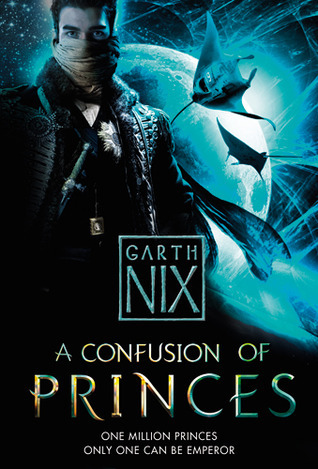 However, if it’s your first time to read a Garth Nix novel, I suggest that you start with Sabriel instead of this one. I’m not a big fan of zombies in fiction so I wasn’t initially curious about it but then I started seeing positive reviews from several of the blogs that I follow. 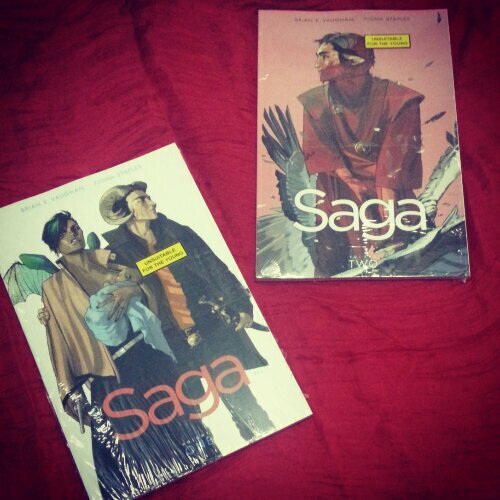 I decided to give it a try when I was able to borrow a copy from fellow Filipino book blogger Jason of Taking a Break. Thanks Jason! R is a young man with an existential crisis – he is a zombie. He shuffles through an America destroyed by war, social collapse, and the mindless hunger of his undead comrades, but he craves something more than blood and brains. He can speak just a few grunted syllables, but his inner life is deep, full of wonder and longing. He has no memories, no identity, and no pulse, but he has dreams. A zombie love story? Pretty unusual, right? I normally think of zombies as gross but I wasn’t even worried about the ick factor because like I said, I kept hearing good things about this novel. 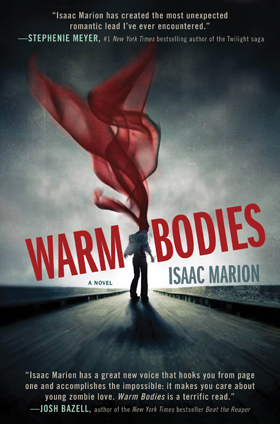 I’m glad I picked it up because I really enjoyed Isaac Marion’s writing. I liked how introspective R is as a zombie. Even though he can’t even remember his name and he has a hard time articulating what he wants to say, there are so many complicated thoughts running in his brain. I was also pleasantly surprised at the humor that I found in the first few chapters of the book and I’m a fan of R’s friendship with fellow zombie, M. Considering how limited their speech is, R and M’s conversations still manage to be entertaining. Although I haven’t read that many zombie novels, I think it’s a different approach to be inside a zombie’s head and I feel like that’s something that sets this book apart from other zombie books out there. Zombies are not usually the heroes of the story – they’re usually not capable of much thought and are meant to be killed off to move the story along. This book is different from the usual zombie lore because it deals with the remaining humanity of zombies. Sure, they’re dead and they physically differ from humans, but they still have feelings. In R’s case, he’s a zombie who doesn’t want to be one. He feels the zombie hunger for human flesh and brains but he doesn’t relish the feeling. And I think he welcomes the change in himself when he consumes a teenage guy’s brain and develops a connection with the guy’s girlfriend, Julie. He suddenly feels the need to protect Julie instead of eat her and that’s how a very unusual friendship starts. Readers get both points of view – from the zombies trapped in their existence to the humans struggling to survive in a world populated by creatures bent on devouring them. I guess it shouldn’t be surprising that both parties aren’t happy with the current situation and both Julie and R try to find a way to change things. I think I mostly enjoyed this novel because of R’s character and how unexpectedly profound his thoughts were for a zombie. I recommend this one to fans of zombie novels or dystopian fiction. Or actually I think this is one zombie novel that can be recommended for non-zombie fans like me. Silver Shark by Ilona Andrews is a romantic science fiction story set in the same world as Silent Blade. I gobble up everything written by Ilona and Gordon, the power couple behind the pseudonym Ilona Andrews. I’m so glad they decided to revisit this world because I thoroughly enjoyed reading Silent Blade and I even reread it a few weeks ago. 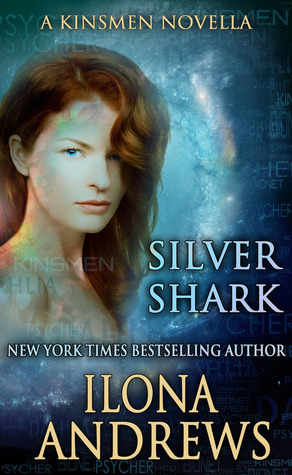 I’ve been wanting to read Silver Shark ever since Ilona first posted snippets on their blog. So when she offered review copies on Twitter, I jumped at the chance to read this. In this futuristic setting, kinsmen with enhanced biological abilities are the most influential people and they’re grouped by family similar to the mafia. I loved the Hispanic/Italian heritage evident in this world. Kinsmen who can read minds and are mentally capable of attacking other people are called psychers. Claire Shannon is a psycher living in a planet colony torn by war that has been going on since before she was born. She’s been trained to fight for something that she doesn’t believe in and that has made her weary. When the war ends, she’s forced to pretend to have no special skills to live as a civilian on a new planet. She ends up as an admin assistant for Venturo Escana, a powerful psycher and the head of a company that provides cybersecurity. 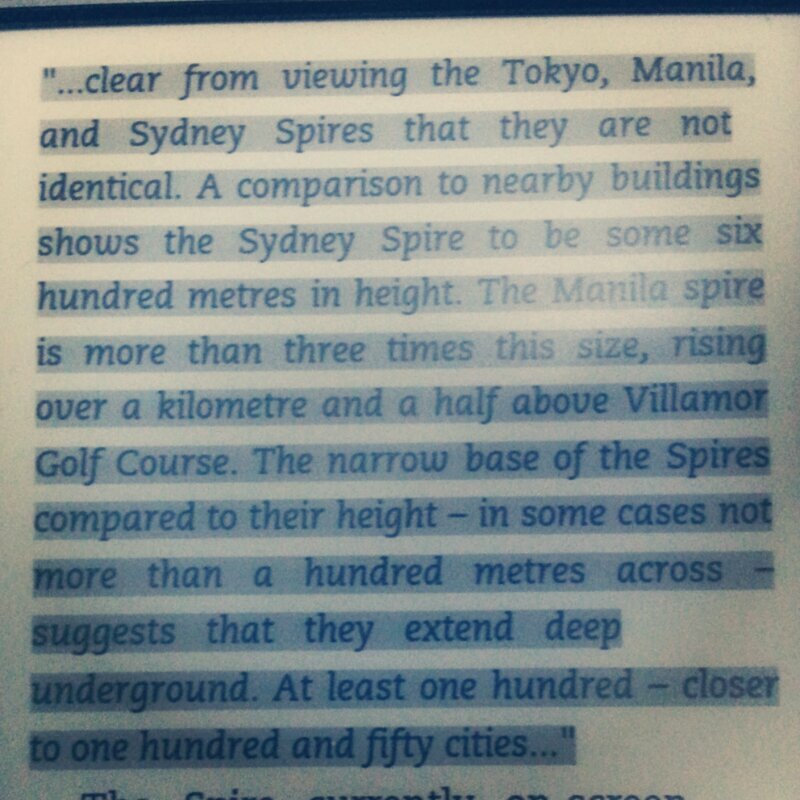 I’m constantly surprised at how much worldbuilding can be packed in such a short story. I think it was a great idea to write the story from Claire’s point of view because we get to see Silent Blade’s setting through the eyes of a foreigner and I feel like that added depth to my perception of the world. It was easy to fall into the lush and vibrant setting in this novella because there weren’t that many technical ideas to complicate the story. That’s one of the reasons why I’m not such a big fan of sci-fi, I usually don’t want to get bogged down with stuff that I don’t understand. No need to worry about that in this one! Plus, I always enjoy romance in my fiction and Silver Shark is based on the Billionaire and His Secretary trope. Kinsmen are ruthless people but because this is a romantic story, we get to see Claire and Ven’s softer side and that’s something that I was able to appreciate. Sparks fly the moment the two of them meet but there was enough time for the romance to fully develop. There’s mutual admiration between the two main characters based on their working relationship. I also liked that the authors continue to build into the world that they created because psychers weren’t even mentioned in Silent Blade and look how fascinating their abilities are. Silver Shark occurs a few years after Silent Blade and both Meli and Celino appear in this story (loved that scene, by the way) but both novellas can stand well on their own. I was really excited to read this and it lived up to my expectations. I would gladly read anything else set in this world. I’m keeping my fingers crossed that Ilona and Gordon would continue the series because these novellas are satisfying reads and they tide me over until their next book is released. More please? Highly recommended for Ilona Andrews fans or anyone looking for a romantic read, I promise the sci-fi elements are easy to understand even for non-sci fi readers. I keep meaning to read more books like this ever since I discovered Silent Blade so if you have recommendations, feel free to list them in the comments section. I already posted about how I was able to get a copy of Clockwork Heart but in case you didn’t see it, Janice of Janicu’s Book Blog generously sent me a copy when she found out that I was interested in reading this book. I was confused for the first few pages of Clockwork Heart because it took me a while to be fully immersed in the worldbuilding and to understand the terms that go with it. This steampunk novel is set in a fictional country where there’s a strict caste system. Only the icarii, couriers who can fly using metal wings, can move freely across all castes. It’s funny because I’m afraid of heights but I would love to try flying using those icarus wings. Taya is an icarus who suddenly gets involved in Ondinium’s politics when she rescues the wife and son of one of the country’s most powerful leaders. Taya was an easy character to like, she’s a no-nonsense type of person who strives to be the best that she can be in her job. She loves to travel, which is fitting since she’s an icarus, and longs to be assigned as an envoy in other countries. Another character that I liked right from the start is grouchy, sarcastic Cristof who’s the exact opposite of his handsome and charming brother Alister. Cristof is a member of the highest caste in the country but he chose to turn his back on his prestigious lifestyle. He works as a clockwright instead because he’s fascinated with the inner workings of clocks and other mechanical devices. I think he’s the steampunk equivalent of a nerd and I found him endearing. Cristof’s geeky charm trumps Alister’s suave moves. Another intriguing aspect of the novel is the relationship between these two brothers and how they do what they can for the other person even though they have such different views in life. There were some parts of the novel that went way over my head like the mechanics of the icarii’s metal wings and the discussions about programming and subroutines. Programs what? But those things didn’t pull me out of the story so I didn’t really mind them. 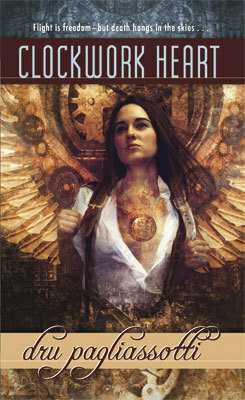 There’s a lot of action, some mystery and political intrigue in Clockwork Heart, which made it such a fun book to read. I guess it shouldn’t be a surprise that I enjoyed reading this because I’m a fan of political intrigue in fiction. You really don’t have to be into steampunk to like this novel and I have a feeling most fantasy fans would take pleasure in reading Clockwork Heart. I was able to predict one of the plot points and had an “I knew it!” moment but all of the other events were a surprise. It’s only the middle of the year but I have a feeling that this book will make it to my best of 2011 list. I really don’t understand why it’s out of print. I heard that there’s a second book in the works and I’d love to read that as soon as it becomes available. Read this if you get the chance, it deserves to get more attention!